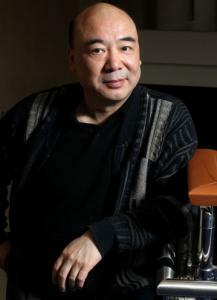 Composer Zhou Long won the 2011 Pulitzer Prize for Music yesterday for “Madame White Snake,’’ the first opera commissioned by Opera Boston — and the first one he has written. Opera Boston gave the world premiere of “Madame White Snake’’ on Feb. 26, 2010, at the Cutler Majestic Theatre with three performances (and one preview) conducted by Rose in a production directed by Robert Woodruff. First-time librettist and retired Boston attorney Cerise Lim Jacobs, a Brookline resident, wrote the text based on the Chinese legend about a white snake demon who transforms into a beautiful woman so she can experience love. She brought it to Opera Boston, and Rose recommended Zhou as the composer. “Zhou’s score is often quite inventive in its fusing of Eastern and Western traditions, and there is some arresting instrumental and vocal writing,’’ the Globe’s Jeremy Eichler wrote in his review of the premiere. Zhou, 57, is visiting professor of composition at the University of Missouri-Kansas City Conservatory of Music and Dance. He was born into an artistic family in Beijing but exiled to a rural farm during the Cultural Revolution. He came to the United States in 1985 on a fellowship to Columbia University. A US citizen since 1999, Zhou is married to composer-violinist Chen Yi. In the production, soprano Ying Huang starred as Madame White Snake and Peter Tantsits as Xu Xian, the love of her life — although their marriage ends in tragedy. The opera was cocommissioned with the Beijing Music Festival Arts Foundation and was performed in China last fall with the same four main singers but with Chinese musicians, conductors, and chorus. Rose was in rehearsal for Opera Boston’s upcoming “Maria Padilla’’ at the Boston Center for the Arts yesterday and had switched his phone to vibrate, but “so many texts came in at one point that I had to look.’’ He was taken by surprise but was able to reach Zhou to congratulate him. The five-member Pulitzer jury that awarded the prize included composer William Banfield, a professor at Berklee College of Music.